According to authors Shira Sardi and colleagues, the prevailing view which is that learning takes place in the synapses is mistaken. Instead, they say, ‘dendritic learning’ is how brain cells really store information. If a neuron is a tree, the dendrites are the branches, while the synapses are the leaves on the ends of those branches. On the left we see the idea of synaptic learning, which proposes that each synapse can independently adjust its strength. 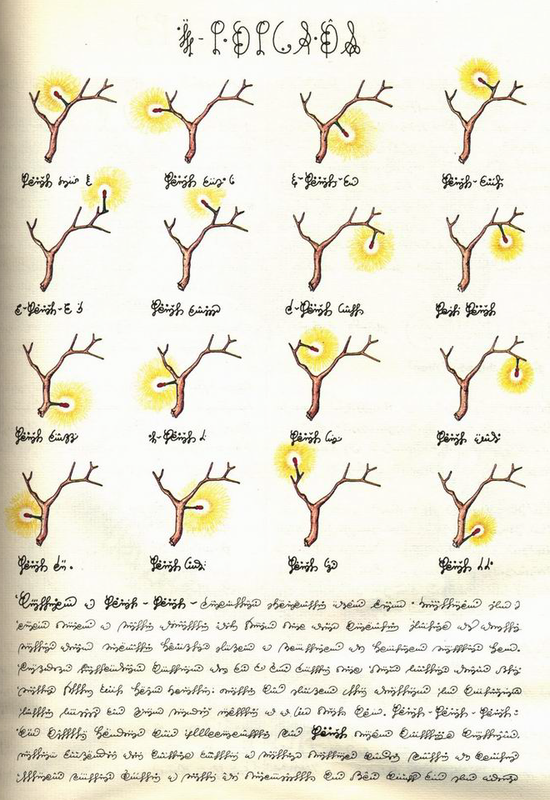 On the right, we have dendritic learning, the idea that each neuron only has a small number of adjustable units, corresponding to the main dendritic branches. “Hebb’s theory [of synaptic learning] that has been so deeply rooted in the scientific world for 70 years seems to be wrong”, I have told my students. Hmm. It’s a nice idea, but it’s very preliminary and I find it quite hard to believe. For one thing, Sardi et al. have not shown that synaptic learning doesn’t happen. At best they have shown that dendritic learning also happens. 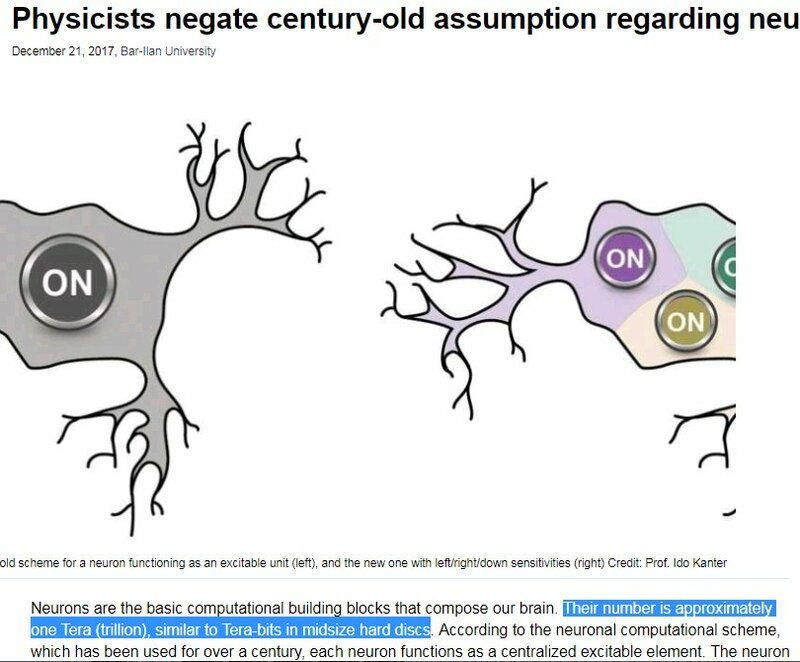 To me the problem with dendritic learning as an exclusive mechanism of learning is that it leaves each neuron with only two or three ‘degrees’ of information capacity. A neuron can have thousands of synapses and if they are all independent, that’s a lot of potential information storage. Whereas if plasticity is confined to the primary dendrites, this massively reduces the information capacity of each neuron. I’d need to see a lot more evidence to convince me of this, so I don’t think Copernicus has returned to earth just yet. Do you know Germund Hesslow papers in the cerebellum, showing that classical conditioning is not due to LTD as the classical model posits? What do you think about that? Exactly. Why cannot both be happening? Halle Berry Neuron et al. anyone? How are we still discussing synaptic as information processing. For those that did not get the memo, memory is stored sub-neurally, case closed. Dendrites, synapses, //hatever: apparently the cool kids are remembering things with RNA these days. I expect Neuroskeptic to be on the case ASAP! I’m writing the post now! And I am very eager to find out what you think about it. The headine does capture the important point — this research comes from a crank physicist who has decided that neuroscientists have no idea what they’re doing and need his special perspective to set them right. Because he’s a physicist, Kanter prefers to model neurons with only a couple of resettable parameters. And he prefers models of neurons to observations… again, because physicist. The Codex Seraphinianus contains the answers to _all_ scientific questions, if we could only read it.